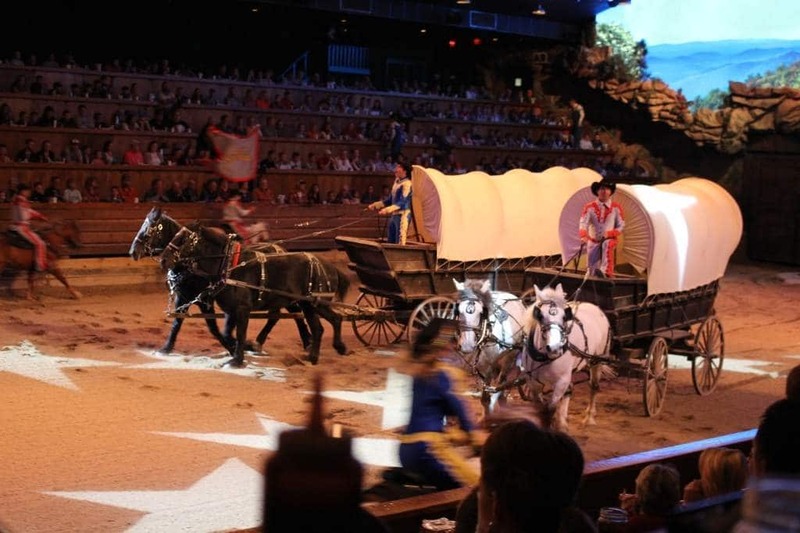 Dolly Parton does it again with her Dixie Stampede dinner and show in Pigeon Forge, TN. It’s is a wonderful place for your family to visit while up in Pigeon Forge & Gatlinburg. 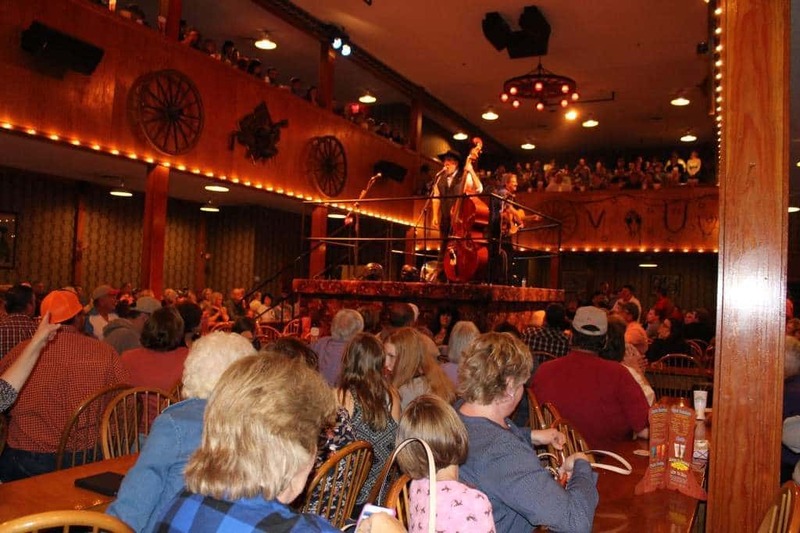 At Dixie Stampede, not only will you get a good meal but you will be well entertained. Doors open about 1 hour prior to the show. You arrive and they will take your photo against a green screen. Then you are guided to sit in the Dixie Belle Saloon. We got there about 15 minutes after door opening and the Saloon was already packed. We were able to find a seat and grab frozen drinks in take home boot mugs. While you are waiting, a trio entertains you with some Bluegrass. There are old standards, hymns, sing alongs, comedy and even popular songs turned to Bluegrass. When it’s time for the dinner and the show you are ushered into the arena. Seating is tiered along the edges so there is not a bad seat in the house. Your waiter will introduce themselves and get your drink order. The photographers from the entrance then come around to show you the photos they took. They were not pushy, and we actually thought our photo was good. Once people are settled in, the show begins. The arena is divided into North vs. South and there are competitions with the horses, riders and even people pulled from the audience. The animals were majestic, and the lighting and pyrotechnics really brought the show together. I don’t want to give too much away, but take my word for it, you will be entertained. During the show, your waiter is bringing around your food and getting any additional drinks. Dinner was fantastic, but be warned, you don’t get any silverware and must use your hands. Your dinner will include a small whole roasted chicken, potato wedge, creamy vegetable soup, corn, biscuits and apple pie. It was all very tasty. The creamy vegetable soup was not like anything I had eaten before and had to pick up the mix to make my own. You will not leave there hungry, in fact, they come through to everyone and offer to go bags as many cannot finish. They do have a vegetarian option but you will need to call beforehand and ask for it. Also, if you have an allergy let them know so they can work with you. My son has a peanut allergy so they were able to provide him with an alternate dessert as well as give him extra helpings of the things he liked because he is so picky. They really go above and beyond to make your experience a good one. 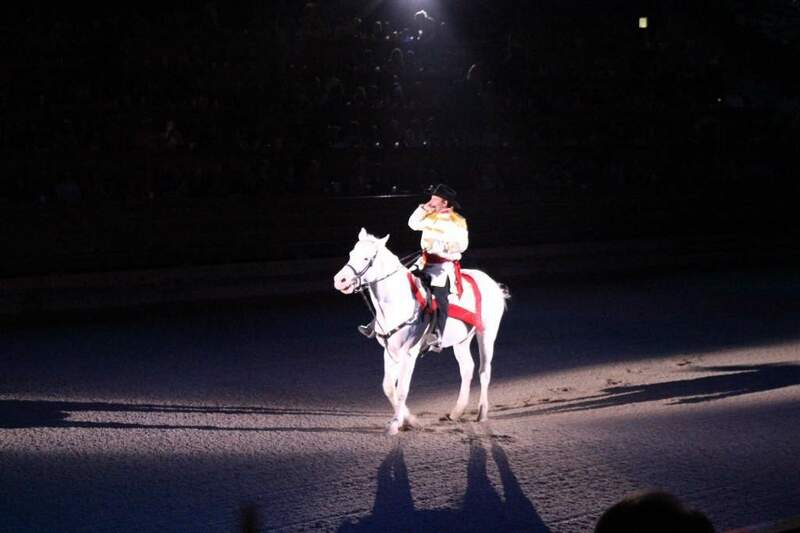 Once the show and dinner are over, some of the riders and their horses come up against the walls so you can go down and talk to them and pet their horses. Many of the kids were so excited to get to do this. My son is not easily entertained; he would rather play on his electronics more than anything, but at the end he couldn’t quit talking about all the things that happened during the show and couldn’t wait to tell his Dad (who was not with us) all about it. He even declared that we must go again next time we come to the area. During November and December, they have a special Christmas Show instead of their regular show. They also have more shows than normal during this time because it’s very popular, so reservations are highly recommended as they will sell out. Children 3 and under can sit in your lap but they will not be served a meal unless you pay for a ticket. Next time you are in Pigeon Forge, be sure to have dinner at Dixie Stampede. It will be a fun addition to your vacation!